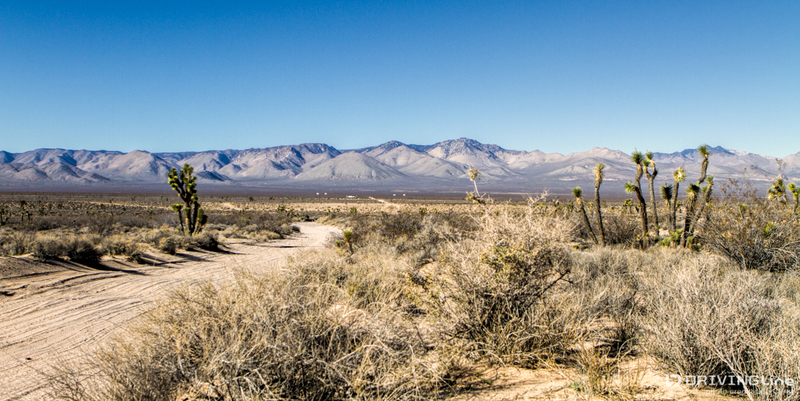 California’s El Paso Range sits in the Mojave Desert at the far southeastern tip of the Sierra Nevada mountain range. Located off SR 14 approximately 30 miles northeast of the town of Mojave, this limited use BLM area is near the Jawbone and Dove Springs OHV areas, and just 3 miles north of Red Rock Canyon State Park (CA). 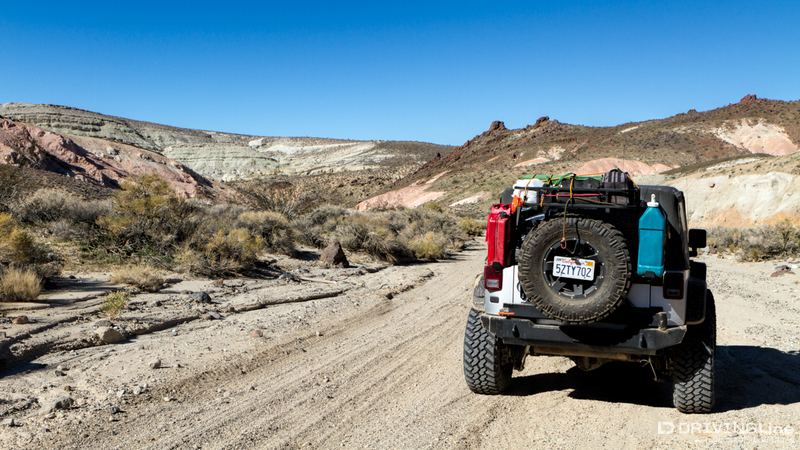 The area is best known in the off road community for the challenging and scenic Last Chance Canyon Trail, but there are plenty of trails suitable for stock SUVs with high clearance and 4WD. 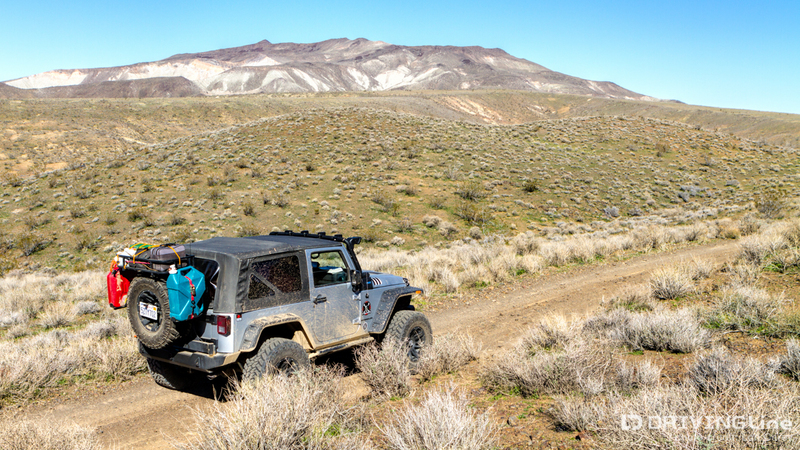 The area has a rich mining history, so we recently set off with trail book in hand to explore some of the historic mining camps - read on for an off-road trail review for Mojave's El Paso Range area. 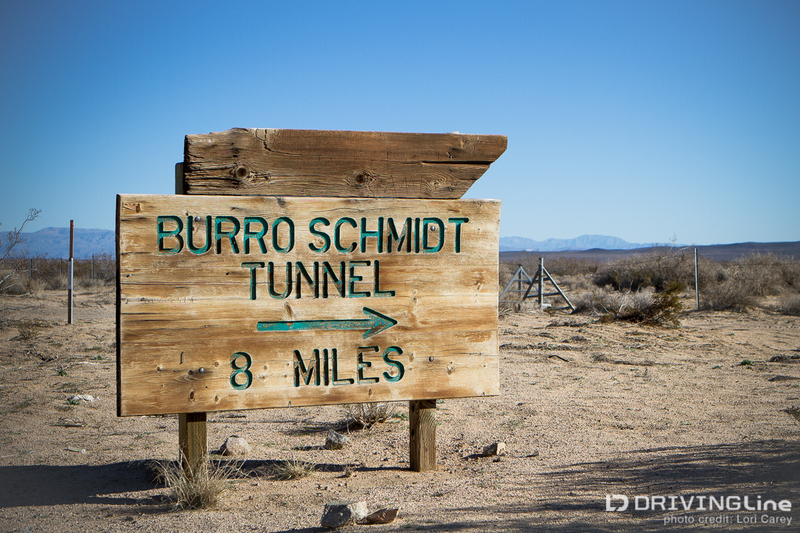 We began on EP15, where the trailhead on SR 14 is marked with a sign to the Burro Schmidt Tunnel. The broad, flat and sandy trail heads southwest across Little Dixie Wash and through Indian Wells Valley. 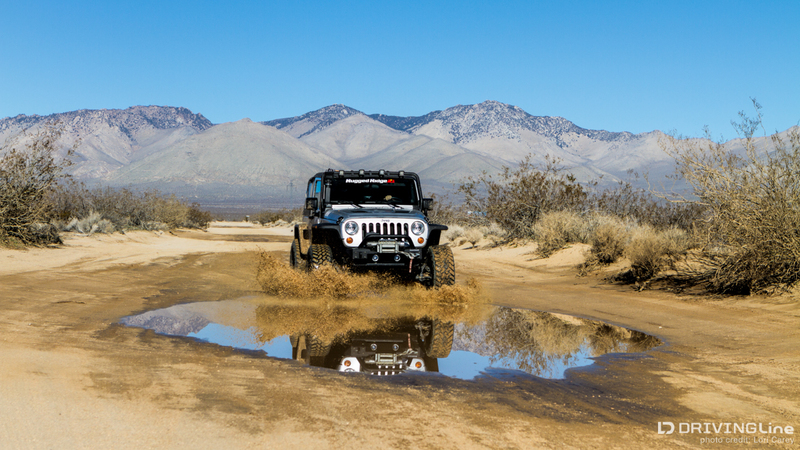 Recent rains left some puddles for us to play in and we couldn’t resist. Our first stop was the Holly Cleanser mine, a short detour off the main trail, turning right on to EP474. This large ledge of volcanic ash produced pumice for a number of uses, but mainly Holly Cleanser. The mine was in direct competition with the nearby Old Dutch Cleanser Mine. 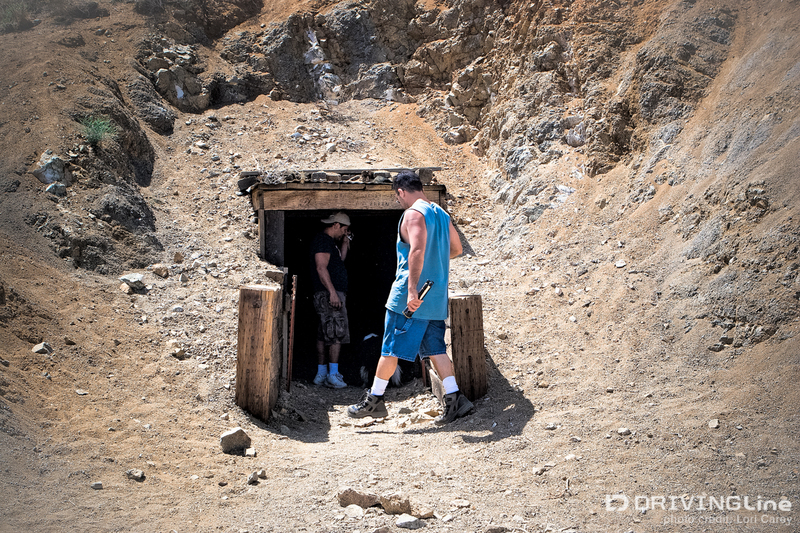 There are three wide shafts to explore, a large stone water tank, and the remains of mining equipment and building foundations scattered throughout the area. Back on the trail, we follow EP15 until we reach a 5-way intersection at the top of a saddle. To the left on EP499 is the Bonanza Gulch trail, which leads to the restored Bonanza Gulch Post Office and a few maintained cabins. For this trip we stuck to EP15, turning right toward Last Chance Canyon and the Burro Schmidt Tunnel - but first we took a quick side trip down EP30 to Bickle Camp. 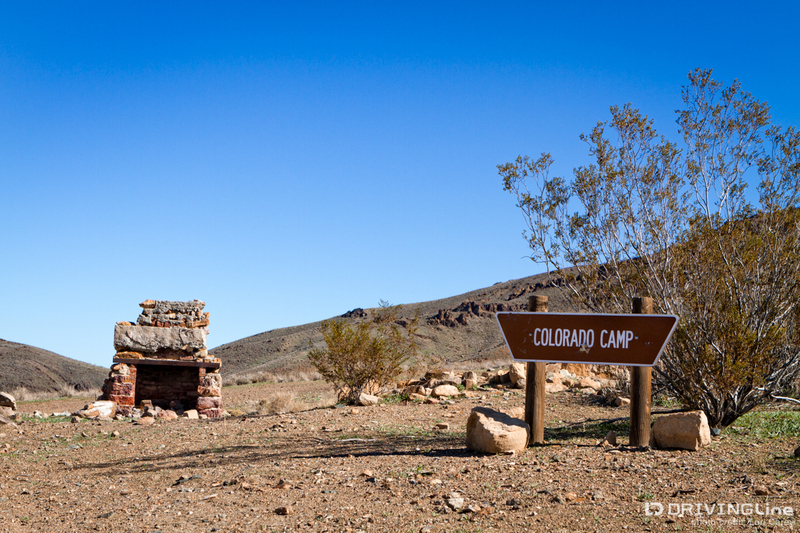 Walter Bickle’s old-time prospector’s camp is maintained by the Friends of Last Chance Canyon and is the best preserved camp in the area. A caretaker remains on site to protect the historical artifacts. It’s a great place for children to learn what life was like for a California prospector, and they even host days when children can try panning for gold. Unfortunately for us, it was too early in the morning and the camp was still closed to visitors. Back on EP15, as we crossed Last Chance Canyon Wash we could see the beginning of the pink, brown and white hills that always remind me of neapolitan ice cream. We followed the sign for the trail to Burro Schmidt’s tunnel high on the side of Copper Mountain. A short steep climb up the side of the mountain took us to the tunnel entrance. William Henry “Burro” Schmidt spent 33 years of his life obsessed with carving a tunnel through the mountain, mostly using hand tools. 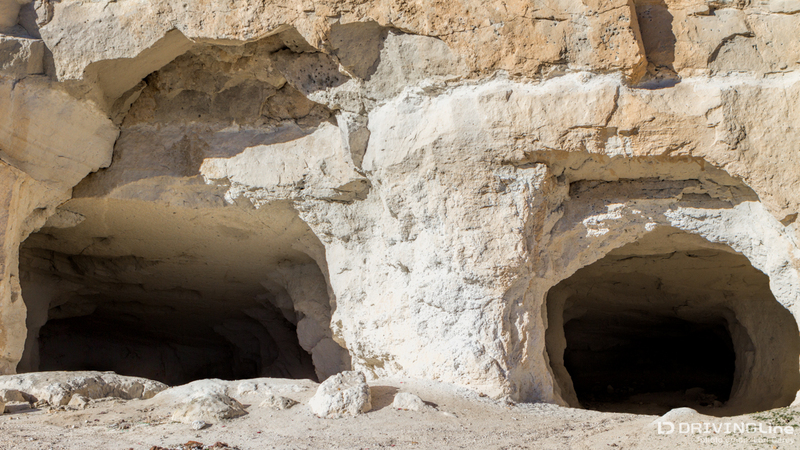 It is said that it was originally intended to be a shortcut to get his ore to a smelter on the other side of the mountain, but Schmidt apparently miscalculated - resulting in a tunnel that exits the mountain on a ledge some 4,000 feet above sea level. Schmidt had become so obsessed with building his tunnel, that he neglected his mining claim - the 2,087 feet long tunnel-to-nowhere was his life’s work. The tunnel is structurally sound and in good condition, and visitors are encouraged. Walking through the cool tunnel is a welcome relief on a hot desert day, and the view is spectacular on the other side. Make sure to take a flashlight, and watch your head as the ceiling gets rather low near the far side requiring you to hunch down a bit. 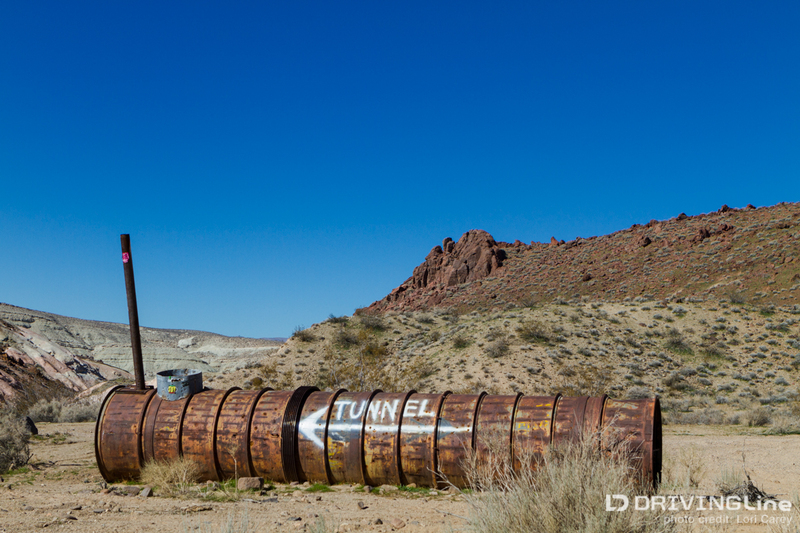 After visiting the tunnel we got back on EP and continued to the remains of the Colorado Camp near Black Mountain. The camp was founded in the 1890’s by Charles Knight. There are some reports that it was a gold camp, but it was also the camp for a coal mine. All that remains of the camp is a lonely fireplace with a small section of chimney. The trail got rougher as it entered a stream bed with running water, a favorite location for gold prospectors. The trail was in the stream bed for a while before making a short, steep, and rocky climb up the mountain. I hadn’t done any preliminary research for this trip and was relying solely on our trail guide, which indicated that we should look for a four-way intersection with EP26 and turn right on EP26, which was supposed to take us through the mountains and out to Redrock-Randsburg Road. When we reached EP26 it only went to the left. Confused, we continued down the trail hoping that possibly EP26 continued to the right further down. I have to admit that I was too busy enjoying the scenery to pay attention to mileage and too lazy to punch coordinates in my GPS. We knew we had gone too far when we reached the Holland Camp, the camp for the Apache Copper Mine. 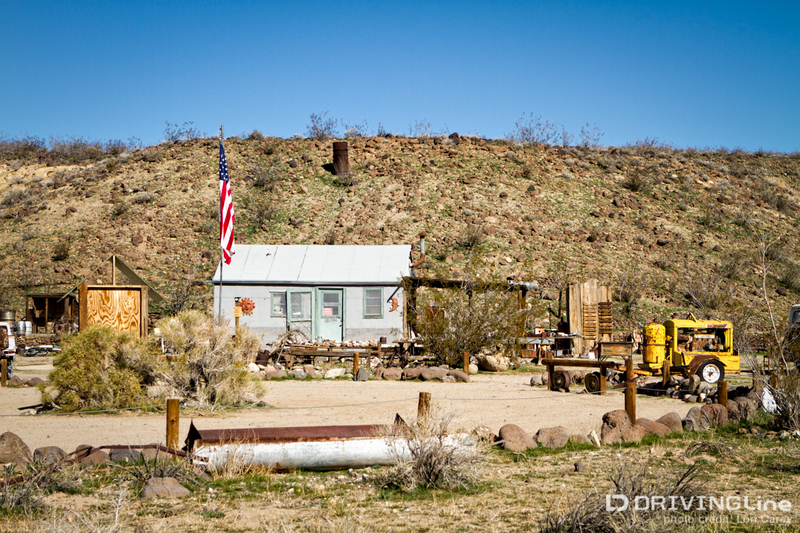 The camp was developed in the 1930s, but only ever recovered a few ounces of gold and less than 100 pounds of copper. This structure made of railroad ties is all that remains. By now we were on the outskirts of Mormon Flats, so we decided to explore and see if we could find a different route out, but every trail we tried dead ended at impassable mountains. We decided to back track our steps and see if we had somehow missed the turn onto EP26, but again had no luck. Back at home I matched up the trail guide directions with a few trail maps for the area and studied them for hours trying to see where we went wrong. I realized that the guide should say to turn right on EP100 at the intersection with EP132, several miles before the trail ever intersects with EP26. I don’t know if some of the trail signage has recently been redone, or if the guide book is just wrong, but it reinforces the importance of carrying good trail maps when you go out exploring. There is an extensive network of trails out here, and although they are well marked it is still easy to get lost. I was out here a few years ago with a group of friends and part of our group got lost in the maze of trails trying to find their way back to camp. If you decide to visit the El Paso Mountains, remember that this is a multi-use area which encompasses the El Paso Wilderness Area, and motorized travel is limited to existing marked trails. 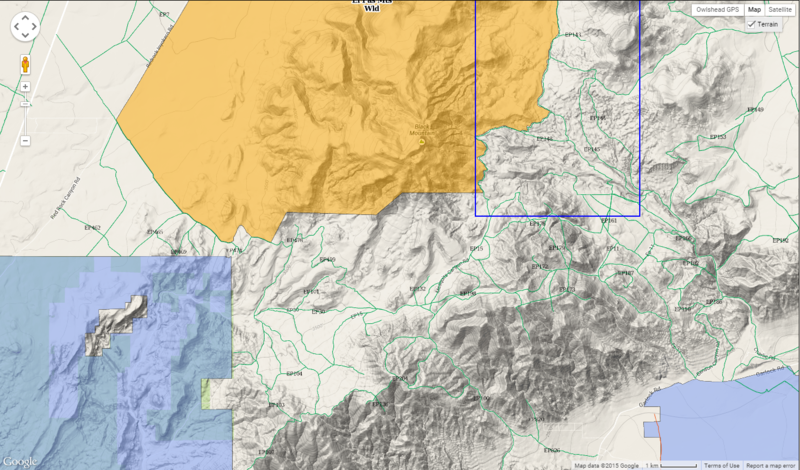 It is at least 30 miles from the nearest services (Jawbone Station or Ridgecrest) and there is no cell phone service. It’s a good idea to have a ham radio if you are licensed. 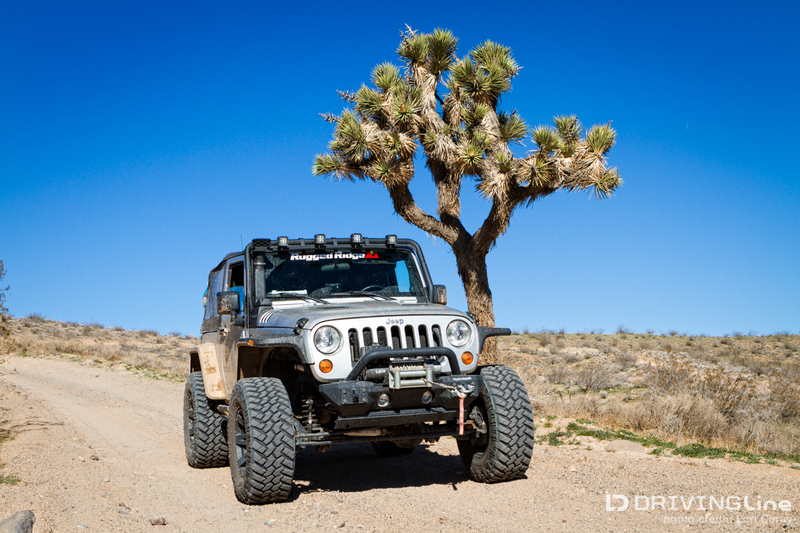 Bring good trail maps or topo map loaded on your GPS, plenty of water and your desert survival kit. 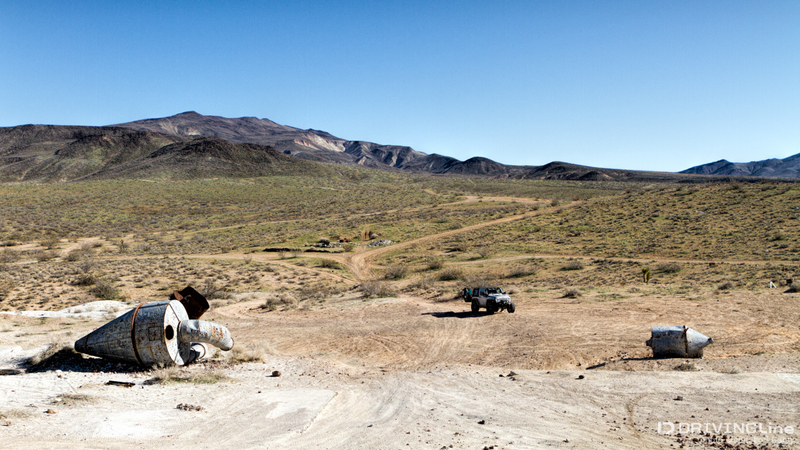 Have you been wheeling in this area? 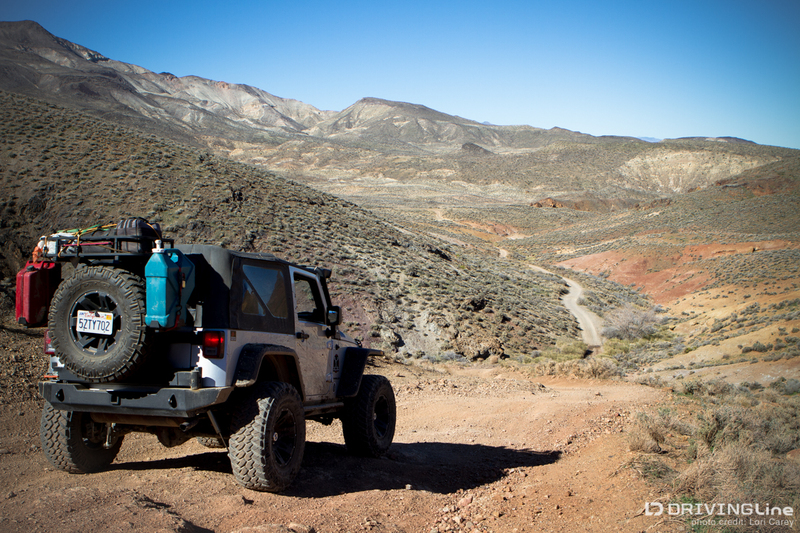 Leave a comment and share your experience - or explore more trail reviews here on DrivingLine.